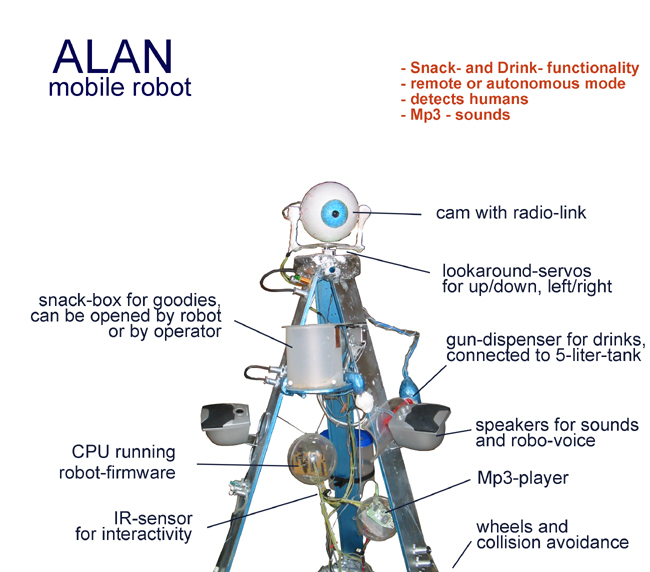 ALAN is a mobile robot unit, which can be operated either fully or partially automated. 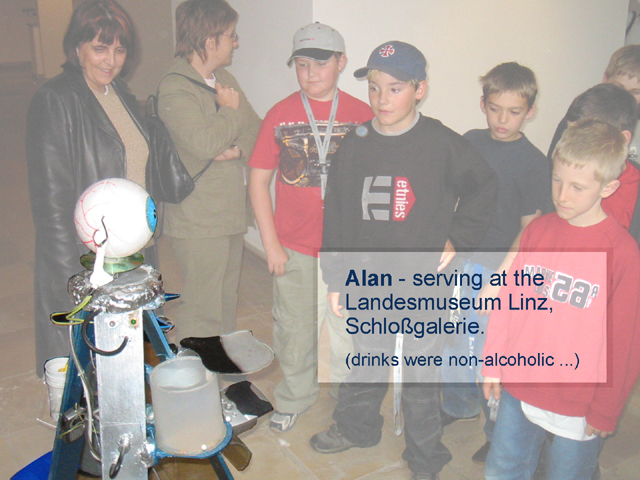 It is equipped with a snckbox and a drink dispenser. 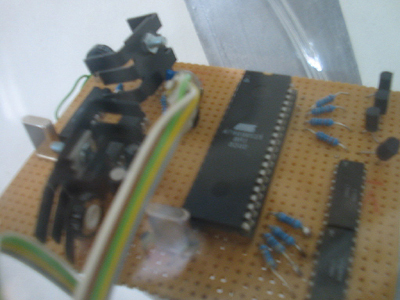 The moving camera eye radiotransmits audio- and videosignals to the base, that can be connected to the internet via TCP/IP. 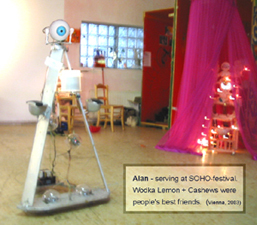 Infraredsensors inform ALAN on persons moving in his range. 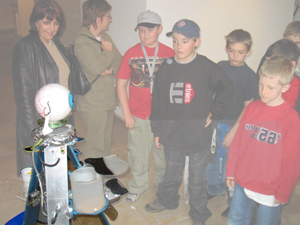 The robot can react through movement, opening of the snackbox or acustically. 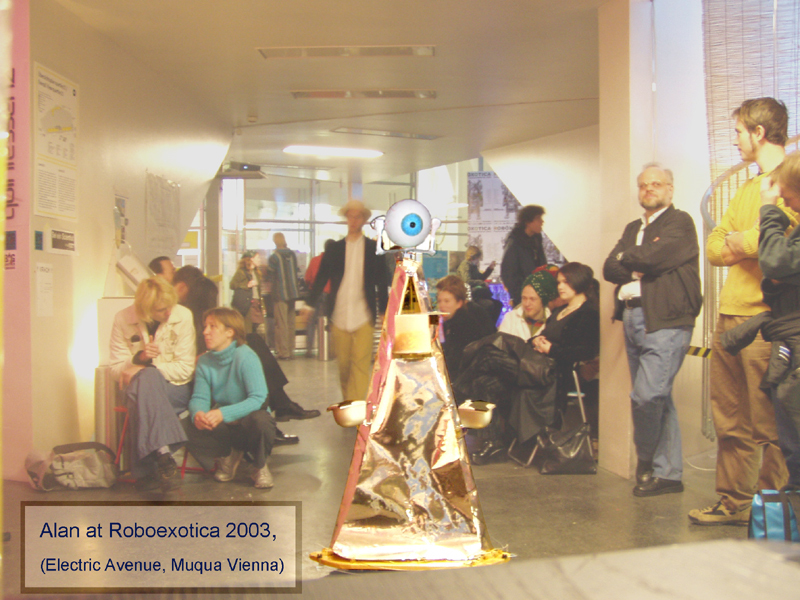 Messages in a robovoice and music are stored as MP3 files. The possibility of collision is hindered by bumper sensors. 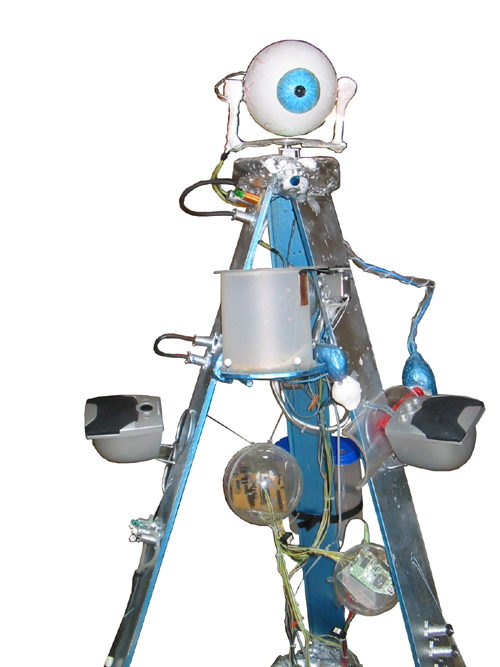 The movement of the bot itself, the eye movement and the add-on modules can either be determined by it's own motives, but all those can also be teleremoted. 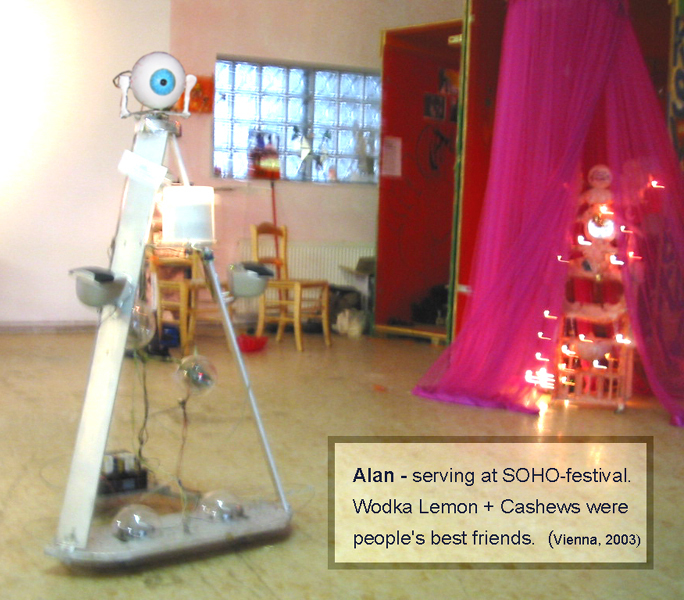 The teleremote unit can be set up as a VR-situation, or the audio and videosignals can be publically shown. 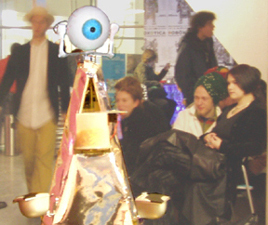 When the VR-headset is used, the head movements are converted into the camera eye movements of the bot. and bring back closup shots of people paparazzi can hardly supply.